Ripcord Rescue Travel Insurance is always popping up in the news when it comes to dramatic rescues and reimbursements. What makes it stand out in the field of travel insurance? Tom Bochnowski: Ripcord is unique in that it combines the best rescue and evacuation services with travel insurance coverages such as trip cancellation, trip interruption, primary medical expense, baggage loss, sporting goods and more designed for adventurers. How does it compare or differ from policies at companies like MedJet Assist or International SOS? Tom Bochnowski: Ripcord is different from those types of plans in at least three important ways. Number one, those other services do not include travel insurance coverages such as trip cancellation/ interruption, medical expense, AD&D, etc. whereas Ripcord is a one-stop shop for rescue and evacuation services as well as travel insurance. It’s all rolled into one program. Number two, Ripcord’s rescue and evacuation coverage begins at the point of injury or illness, it doesn’t require the traveler to be admitted to a hospital or located at a medical facility. Ripcord has rescued clients at 22,000 feet on Mount Everest, in the middle of the Gobi desert, in the Central African bush and from polar regions – as opposed to just a hospital-to-hospital medical evacuation. While Ripcord includes hospital-to-hospital medical evacuation to the traveler’s home country hospital of choice, the rescue component makes Ripcord unique. Ripcord is designed for adventurers. Finally, Ripcord’s parent company, Redpoint Resolutions, is uniquely owned and operated by special operations veterans, doctors and insurance experts. When a client calls in with an emergency, he or she is immediately in contact with elite medical, security, travel and insurance professionals, delivering a high-touch customer service experience that our partners regularly cite when asked why they chose Ripcord. Is the travel insurance component and the medical evacuation component part of the same package or can you buy one without the other (though I’m not sure why you would)? Tom Bochnowski: Our clients can choose between the comprehensive travel insurance option that includes evacuation and rescue, or simply buy the evacuation and rescue coverage separately – as an annual plan or for individual trips. There is a lot to be said for talking with a single company for any problems you may encounter on your trip – medical and security emergencies, interruptions, claims or just travel assistance such as a lost bag or a missed connection. Can you give a couple of examples of dramatic rescues or evacuations that you’ve been involved with? John Moretti: One of our best-known rescue operations is likely the evacuation of 33 clients from near Everest Base Camp and from other remote locations in the Himalayas when a massive earthquake hit Nepal and caused a deadly avalanche in 2015. We simultaneously delivered aid to villages, while bringing large-capacity Russian helicopters to take clients down to Kathmandu, and then all the way back home. We have evacuated clients from Mount Everest, from K2, and elsewhere in the Himalayas for everything from frostbite to high-altitude sickness, as well as stroke victims and gastrointestinal problems in Africa, motorcycling in Eastern Europe, etc. It is completely unpredictable what can go wrong while on vacation. We had one client who was punctured by a cactus on Day 1 of his trip, and then thrown from the back of an elephant on Day 2. 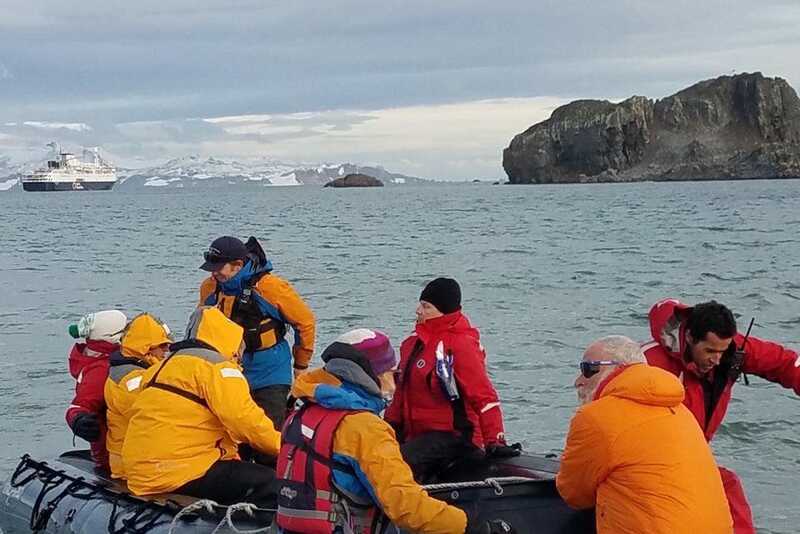 That’s obviously a very bad start to any vacation, but maybe not quite as bad as the client who, on his first day in the Drake Passage en route to Antarctica, had to be evacuated from the Antarctic Peninsula, and then escorted home to Florida by a Redpoint paramedic on board a medically equipped jet. I know that cancelling a trip seems a lot more mundane than a rescue, but the potential financial loss is anything but trifling. How about a few examples of how that component has worked in real life? John Moretti: Good point. Again, drama is in the eye of the beholder. When you’ve paid thousands of dollars to take your daughters and grand-daughter to Kenya to work with a wildlife artist, and then all of a sudden you’ve had a gastronomical emergency and can’t make the trip, not only you are in the hospital and have missed out on a trip of a lifetime, but you have also forfeited more than $12,000. When Ripcord reimburses you for this loss, it provides much needed protection against financial loss as well, some peace of mind. What are the exclusions in terms of activities? BASE Jumping? Rock climbing? Mountain climbing? Surely you can’t cover everything? Tom Bochnowski: Ripcord is designed for adventurers and does not limit activities for medical evacuation services, plus unlike most travel insurance policies, Ripcord includes trip cancellation/interruption, medical expense, baggage loss, AD&D, etc. coverage for mountain climbing (without altitude restriction), rock climbing, SCUBA diving up to 131 feet, fishing, hunting, skiing, snowboarding and other adventure activities. Ripcord does exclude rare and unusually dangerous activities such as BASE jumping, hang gliding and spelunking for example. What is the average cost for a trip (and do you offer yearly plans for frequent travelers)? Tom Bochnowski: The price of a comprehensive travel insurance policy with any of our policies is calculated by date of birth and the cost of the trip covered. Ripcord’s typical travel insurance cost ranges from 5% to 11% of trip cost. Medical evacuation and rescue only coverage with Ripcord starts at $117 for a one-week trip and $325 for an annual plan. You’ve got a couple of affiliate companies. Harbor Travel Insurance and Cavalry Elite Travel Insurance. What do they offer that’s different from Ripcord? Tom Bochnowski: Harbor Travel Insurance is our product for budget-minded travelers and is similar to existing travel insurance policies. Like many of the travel insurance offerings on the market, it provides evacuation to the nearest appropriate facility when medical necessary as determined by the local attending physician. That is, if you are hospitalized and that facility determines it cannot treat your injury or illness, you will be transported to the nearest appropriate hospital. This is the usual medical evacuation coverage within the travel insurance industry. Cavalry Elite Travel Insurance is designed for the luxury market and goes a step beyond that. It offers higher trip cost limits than most travel insurance policies, for the client who needs to cover expensive trip costs, and the medical evacuation coverage is from the receiving hospital to the traveler’s home hospital of choice when the traveler is hospitalized. 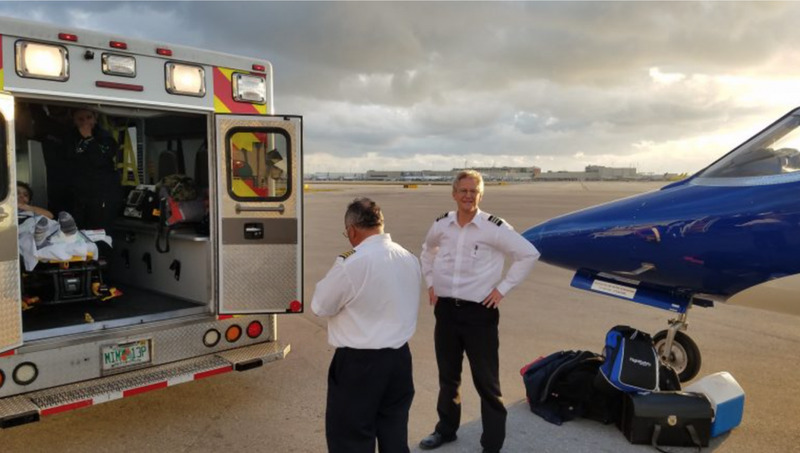 Unlike most travel insurance policies, Cavalry doesn’t rely upon the local attending physician to determine medical necessity for evacuation – just being admitted to the hospital means under the Cavalry program the client will be transported to the hospital they choose. Cavalry does not include rescue services since these travelers are touring cities and other developed places that have ambulance services. Ripcord Rescue Travel Insurance is for the traveler who needs to be extracted from a remote environment where an ambulance is not an option.